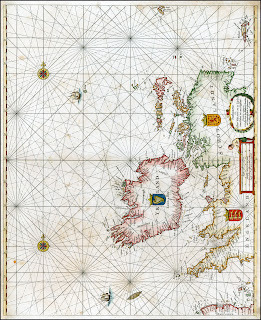 This Rihla is about the real Blasket Islands, and Hy Brazil, an imaginary island off the coast of Ireland that existed on maps for 500 years. translated by Kuno Meyer in 1895. If on a summers day, in the crystal air of the lee of an Atlantic storm that is passing overhead, you stand on Dunmore Head at the south-western tip of the Dingle Peninsula, Ireland and look far out towards the west you could convince yourself that where the sky meets the curved horizon there is an island, an uncharted mysterious perception. And then draw your gaze closer towards land and let it fall on the group of islands known as the Blaskets and you will see in the moisture-laden air of the lingering storm a blanket of cloud smothering the islands. Making them somewhat mysterious, somewhat of an Otherworld. 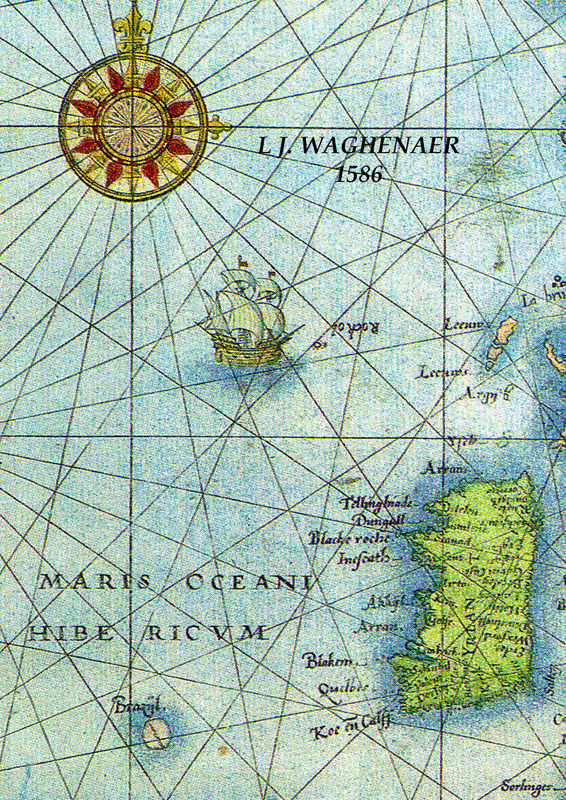 All of these atmospheric features surrounding these inshore islands of the south-west were to play a contributory part in the very Celtic Odyessian prose-poems known as Immrama, from the old Gaelic for 'rowing about' and the epic voyage sagas to the Faery or Otherworld known as Echtra. 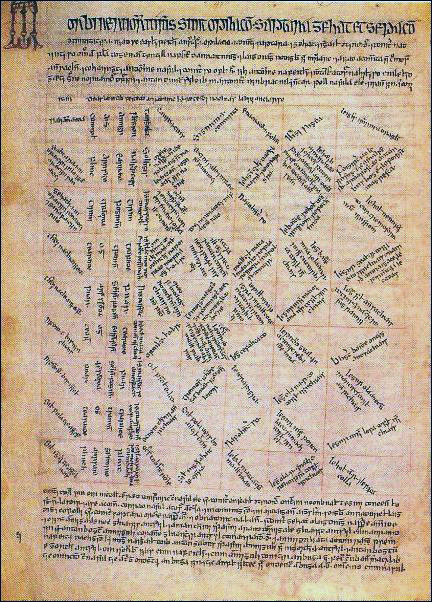 One of the earliest Echtra written down (8th C) was the Immram of Bran maic Ferbail, to the Island of Ciúin (Gentle Land), an island of women where Bran and his companions are drawn in by a spool of thread to dwell in absolute contentment for an ageless time until one of the companions expressed a wish to return home only to turn to dust on putting his foot upon the shores of Ireland. Needless to say Bran did not follow suit and turned about to return to the island of women and into mythology. 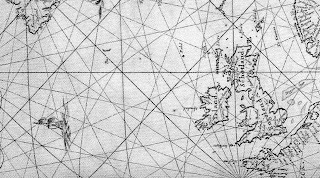 In the poem there is a verse that alludes to the fact that to the west of Ciúin there are 150 further islands all bigger than Ireland. 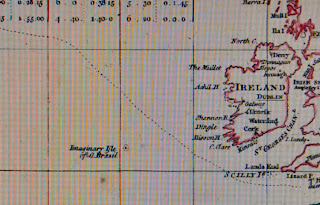 A more famous Immram, but one with a very evangelical Christian intent, was that of St. Brendan the Navigator, born not far from Dingle in 484 C.E. Somewhere between 512-530 C.E. 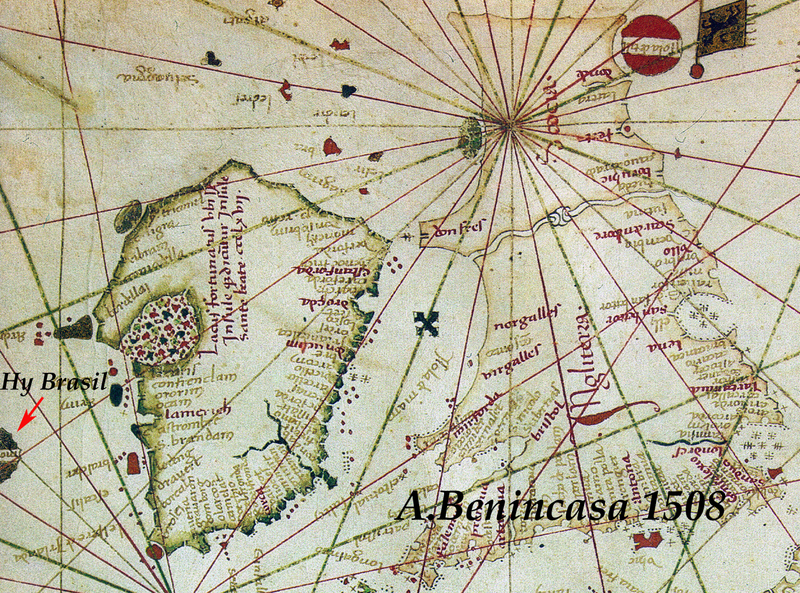 he reputedly set out on a seven year voyage of discovery to find the Island of the Blest, and this and other adventures were recorded in the Navigatio sancti Brendani abbotis around 900 C.E., a work that became very popular throughout Europe. 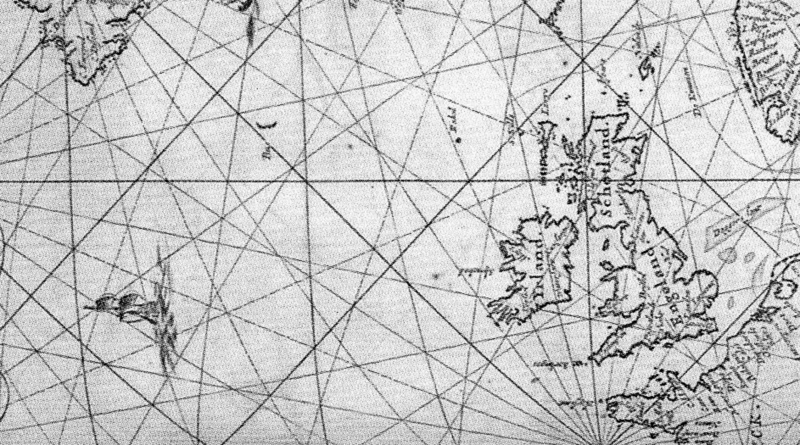 As a consequence St. Brendan's mysterious (and mythical) islands entered a reality far above their parable intent and when the first charts of the Atlantic were being drawn St Brendan's Isle and the Isle of Brazil (or Blessed Isle) became a reality somewhere off the south-west coast of Ireland. 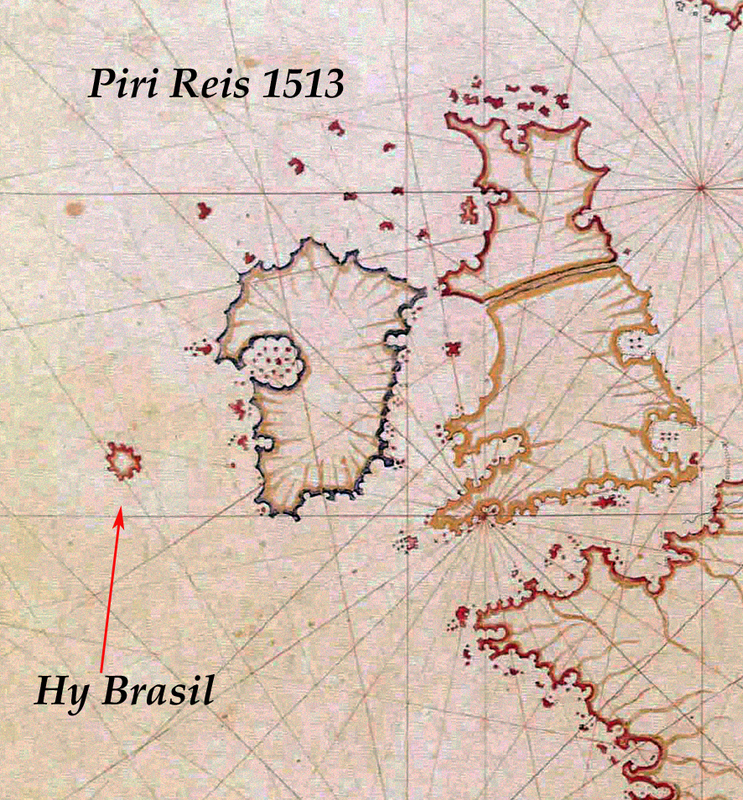 Hy-Brasil by tradition was permanently shrouded in mist and only revealed itself once every seven years. It is not surprising that this feature became part of folklore as one only has to view the more accessible Great Blasket and its cloud-blanket cover to determine the source. 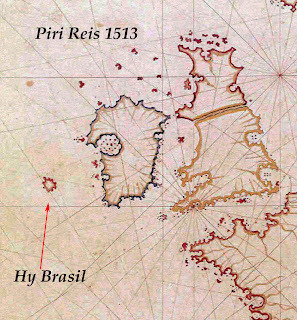 As a mythical island Hy-Brasil was to have a cartographic reality that lasted for nearly 500 years, until gradually becoming first a mythical rock, and then finally disappearing from reality somewhere in the 1840s. As an island and a metaphor Hy-Brazil became associated with some very hard cases. on the back of a whale. In the 1st Century C.E. 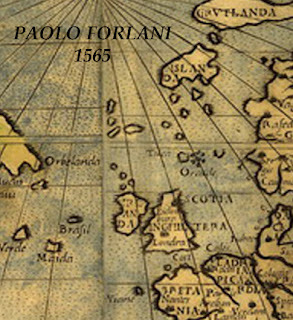 the Sicilian Geographer Didorus Sicilus recounted the Phoenician legend of a paradise in the Western Ocean. 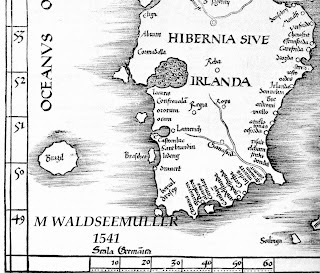 This Phoenician legend has an interesting link to the Immram of Bran as it was a meeting with Manannán mac Lir at sea that convinced Bran to keep looking for the island paradise. 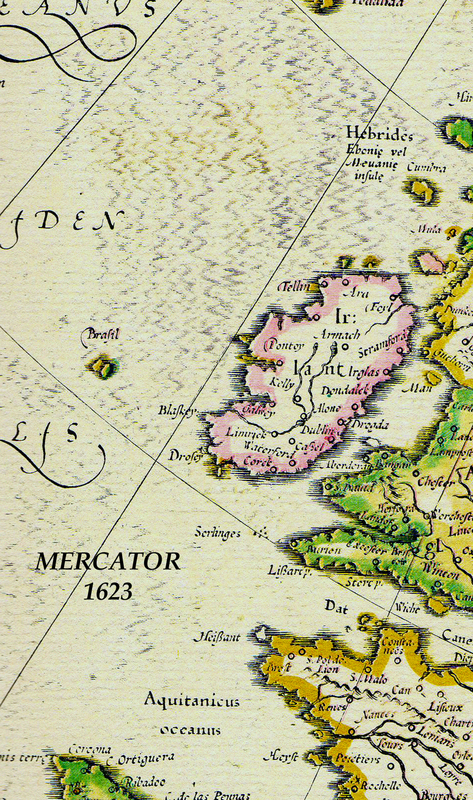 Manannán is accepted in Irish mythology as being a Phoenician from a colony on the Isle of Man in the Irish Sea. In 1139 C.E. another Sicilian, King Roger II established an Academy of Geographers in Palermo and appointed Abu Abdullah al-Idrisi as its permanent secretary. 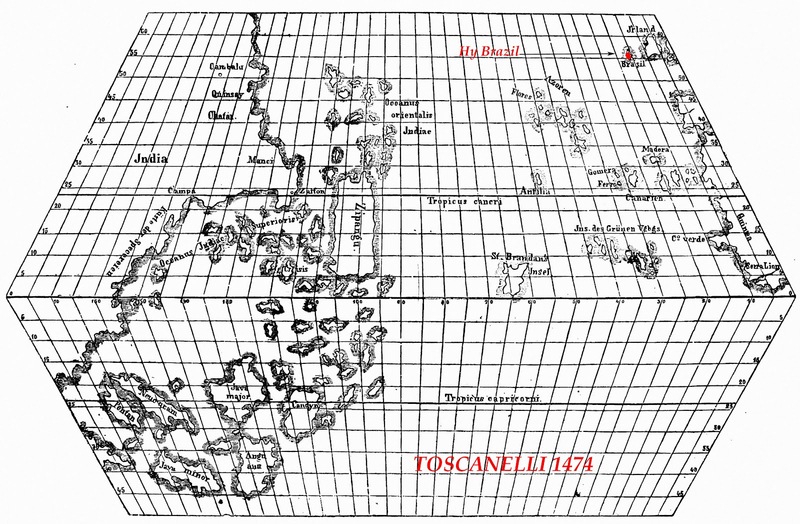 Their task was to map the known world and 15 years later al-Idrisi had produced a solid silver planisphere and an atlas called Nuzhat al-Mushtaq fi Ikhtiraq al-Afaq (The Delight of One Who Wishes to Traverse the Regions of the World), or more simply, al-Kitab al-Rujari (Roger's Book). 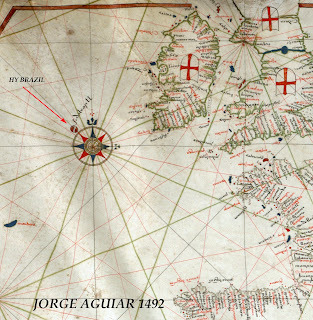 The atlas mentions that in the Sea of Darkness (The Atlantic Ocean) there were the Fortunate Islands (The Canaries). 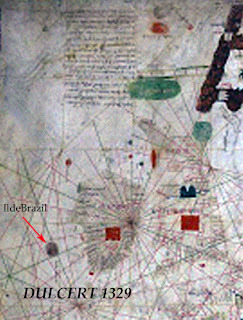 It was al-Idrisi's legacy of gathering as much information as possible from sailors in ports that initially spawned the 14th century Catalan-Arabic mapmaking tradition in Majorca but also allowed a fusion of the Immram western island tales of St Brendan into these charts, resulting in the appearance of Hy-Brazil from 1300 onwards. 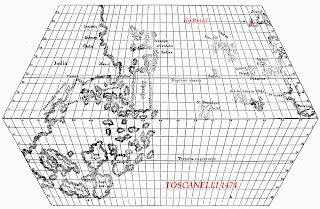 Two maps by Angelino Dulceti/Dolcet/Dalorto/Dulcert. 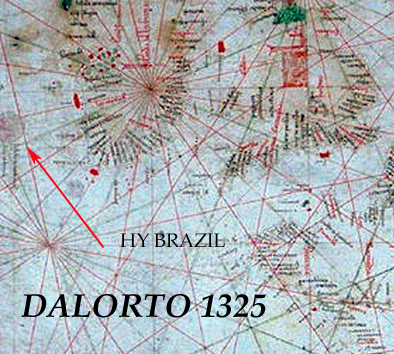 The 1325 portolan was to depict Hy-Brasil for the first time. John Cabot (Giovanni Caboto) was an Italian navigator who was kicked out of Venice in 1488 for being an insolvent debtor. 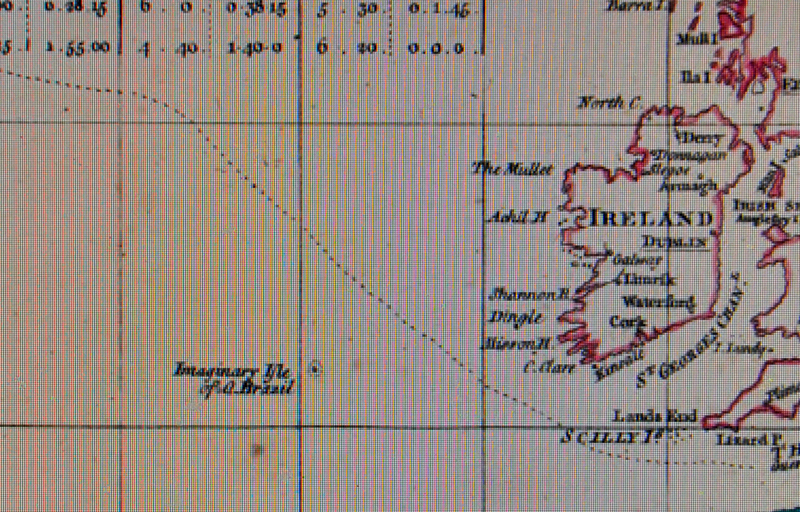 Moving to England he was dispatched by the merchants of Bristol to find the Isle of Brasil, a project that the Bristol merchants had pursued for a number of years. 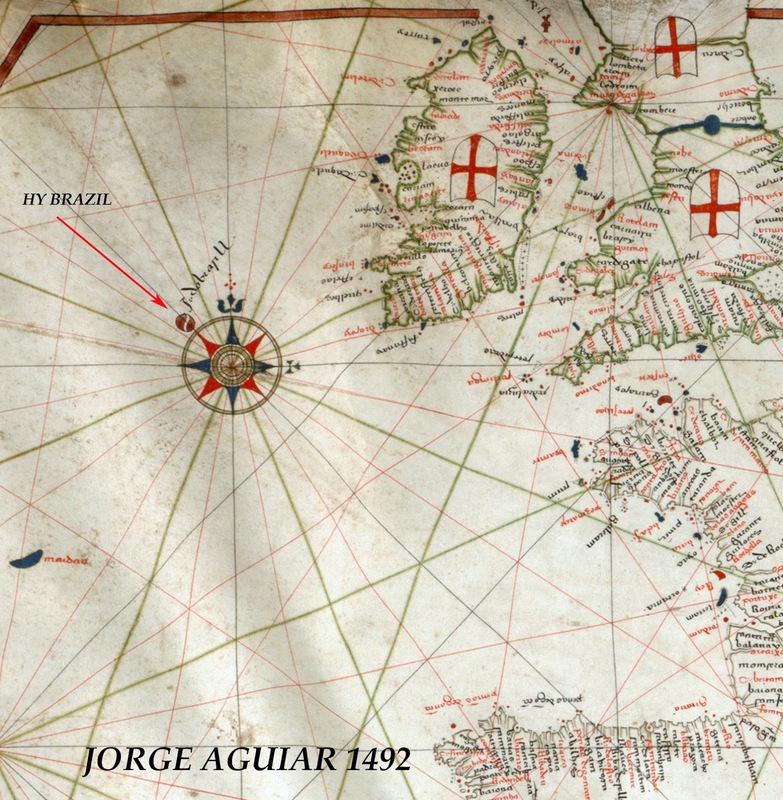 It was on his second voyage in 1495 that sailing well beyond where Hy-Brasil was thought to exist he made his famous landfall in Newfoundland. 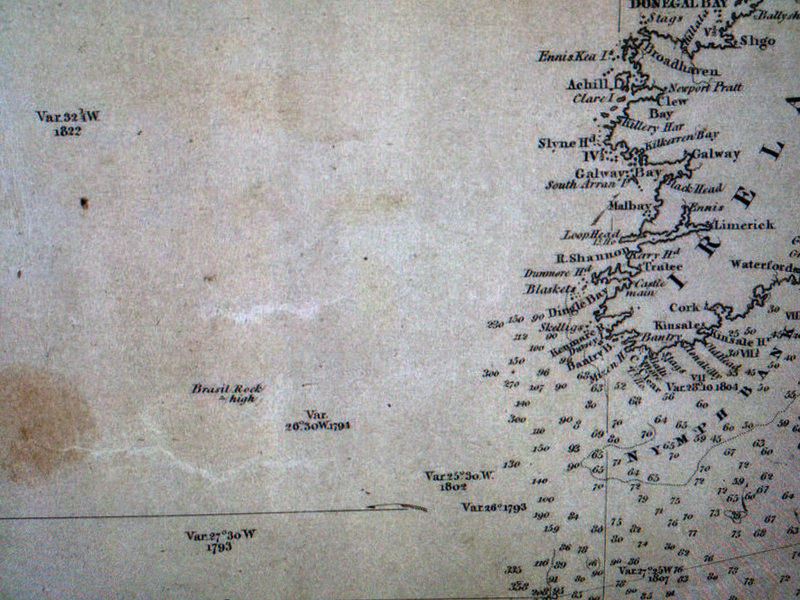 Cabot is thought to have been lost at sea in a final voyage in 1498. 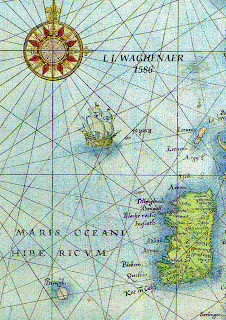 English the term 'Waggoner' became a generic term for sea charts of all kinds. Sir Robert Dudley (1574-1649) was the illegitimate son who inherited the estates of his father Robert Dudley, 1st Earl of Leicester and Elizabeth I's favourite, but on failing to have his legitimacy confirmed in 1605 left England to become a shipbuilder and cartographer to the Grand Dukes of Tuscany. 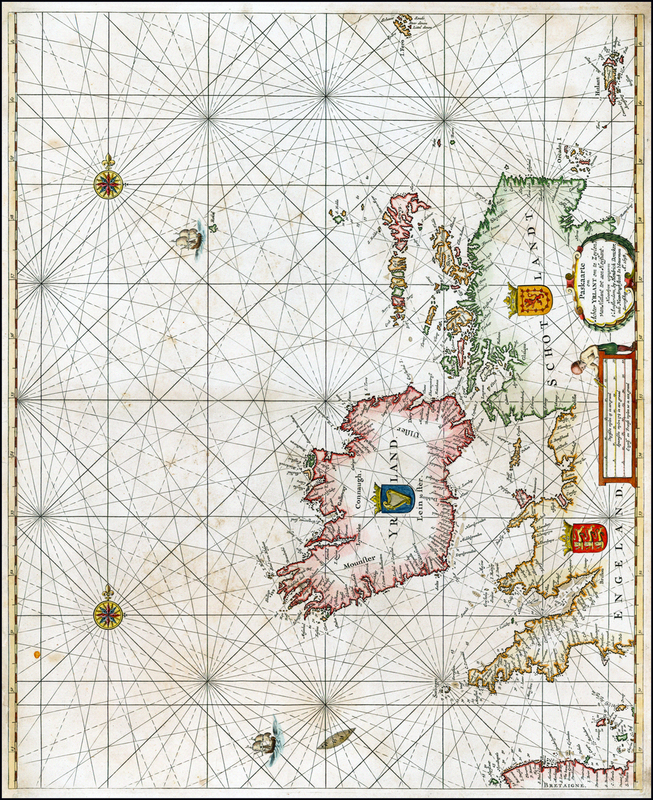 His seminal work Dell'Arcano del Mare (Secrets of the Sea) of 1645 has probably some of the most beautifully engraved charts ever drawn, in fine baroque calligraphy, never to be repeated by any other mapmaker. 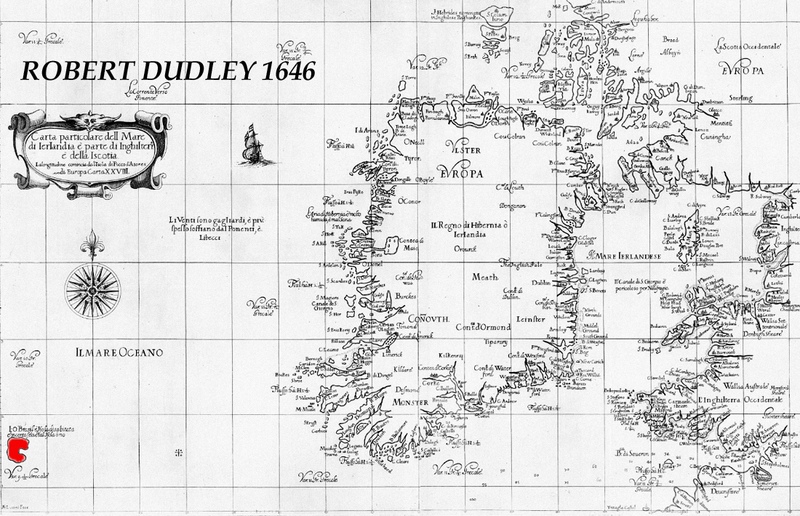 Charles I finally recognised Dudley's legitimacy in 1644 but did not restore his titles. 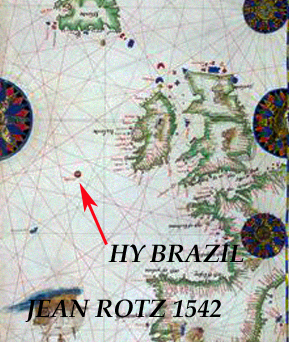 His charts were known for their accuracy yet Hy-Brazil still appeared. 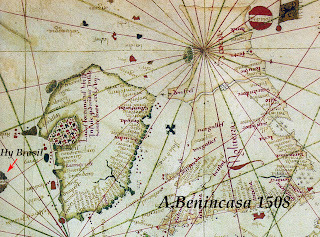 Not all mapmakers of the 17th century were convinced of Hy-Brazil's reality. had obtained and were not copied from others. 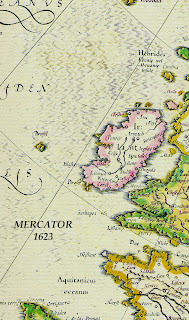 Richard Head (1637-1686) was born in Ireland but left the country after his father was killed in the rebellion of 1641. 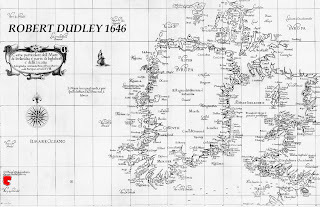 A little like John Cabot he encountered severe financial difficulties and had to flee his creditors back to Ireland in 1659. 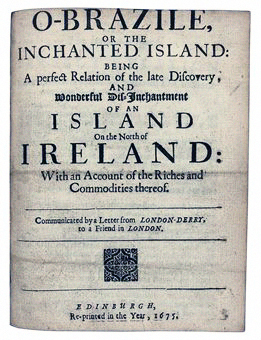 Six years later he was to publish the English Rogue which became immensely popular and in 1675 his account of the island of O-Brazile. 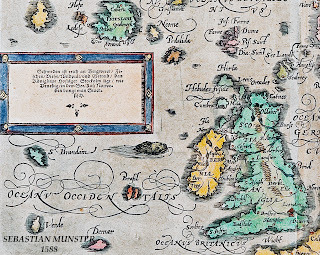 Earlier around 1663 a Morogh O'Lee in Galway reported that he had been taken to the Island of Hy-Brazil and had been given a magical book of cures that he was not meant to have used for seven years. 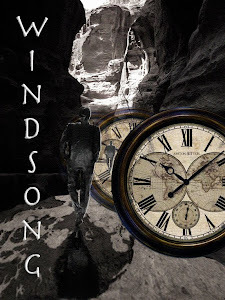 Morogh was the scion of a famous family of hereditary physicians and the book in question had been in the family's possession for about 100 years. Morogh had fallen on hard times having failed in his attempt to get extensive lands owned by his family returned to him from a leasing arrangement with the Martin family of Galway. He wanted to use the magical Hy-Brazil 'provenance' of the book as a means of earning a living. 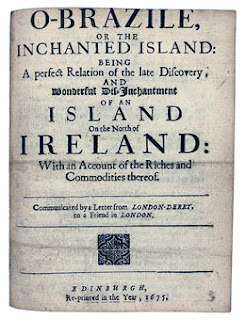 The book was subsequently sold to a Thomas Keady, a merchant in Galway, and is now in the possession of the Royal Irish Academy. 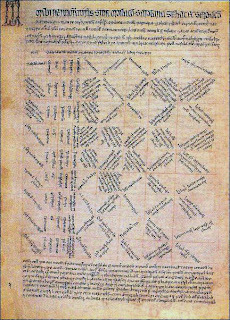 The Book of the O'Lees is an Irish translation of a treatise (Taqwim al-Abdan fi Dadbir al-Insan (Dispositio corporum de constittutione hominis (Tacuin agritudinum): The Disposition of Bodies out of the Constitution of Man) first written by Baghdad physician Ibn Jazlah and subsequently translated into Latin by a Sicilian Jewish physician, Faraj ben Salem around 1280 but not published in Latin until 1532. There was a distinct tradition amongst the hereditary medical families to translate some of the major medical works available into the Irish language. Up to about 1060 C.E. 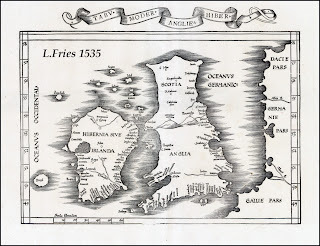 the O'Flaherty clan, a descendant branch of the famous Uí Briúin kings, controlled a small kingdom called Maigh Seóla on the eastern shores of Lough Corrib that stretched from Tuam to the outskirts of Galway. After a bitter internecine conflict with distant cousins, the O'Connor kings of Connacht the fled across the Shannon to re-establish themselves as Kings of Iar-Connacht on the western side of the Corrib. 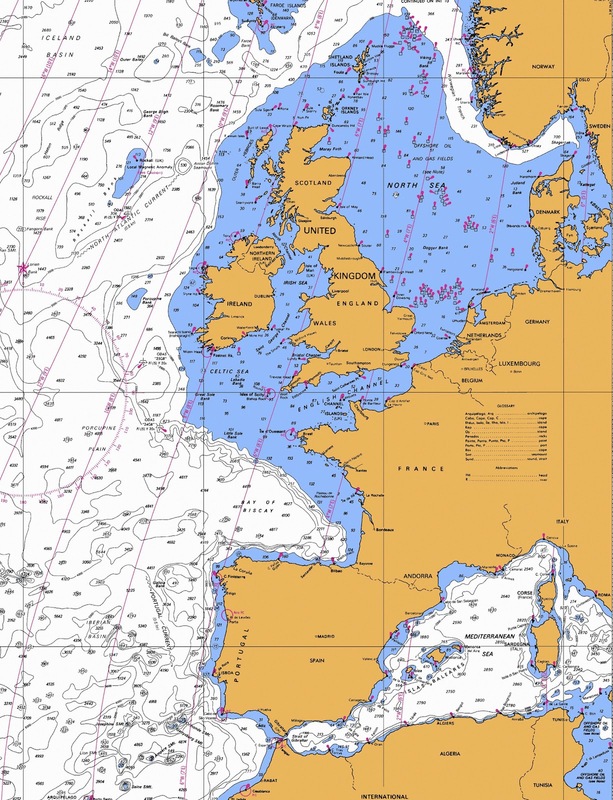 The Corrib's original name was Lough nOirbsean after Orbsiu Mac Alloid the Phoenician in Irish mythology commonly called Manannan mac Lir, who I mentioned earlier in the Immram of Bran. 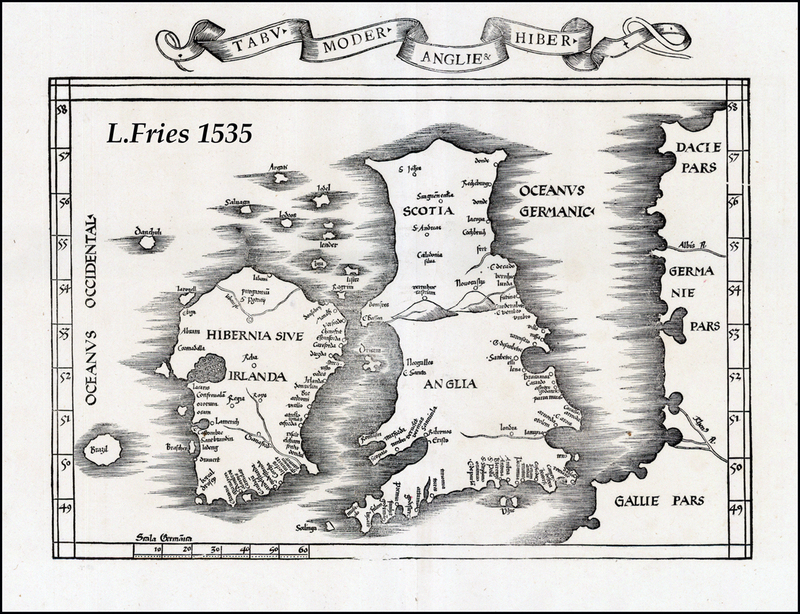 The transmigration of the O'Flaherty's also resulted in the transmigration of some of their client clans. For example the O'Halloran's established their presence in the townland of Barna where I live and built their castle (no longer extant). 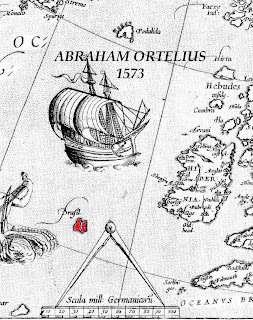 Another subject clan were the O'Lees the hereditary physicians to the O'Flahertys. 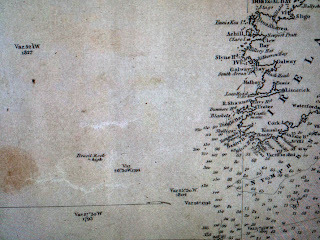 And this is where a final link to St Brendan occurs and to the origins of Hy-Brazil. 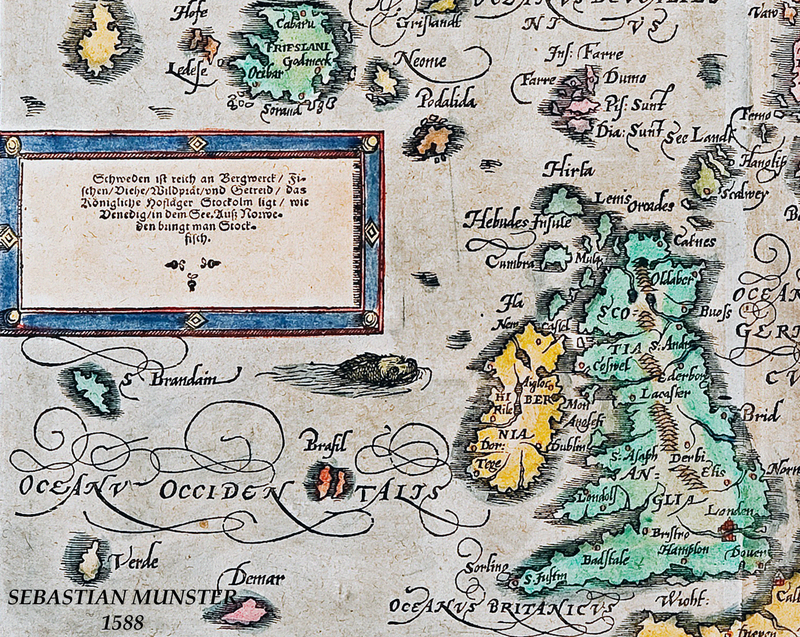 St Brendan was to found a monastery in Annaghdown around 540 on the eastern shores of Lough Corrib (and a nearby convent for his sister Briga) and he died there in 577. 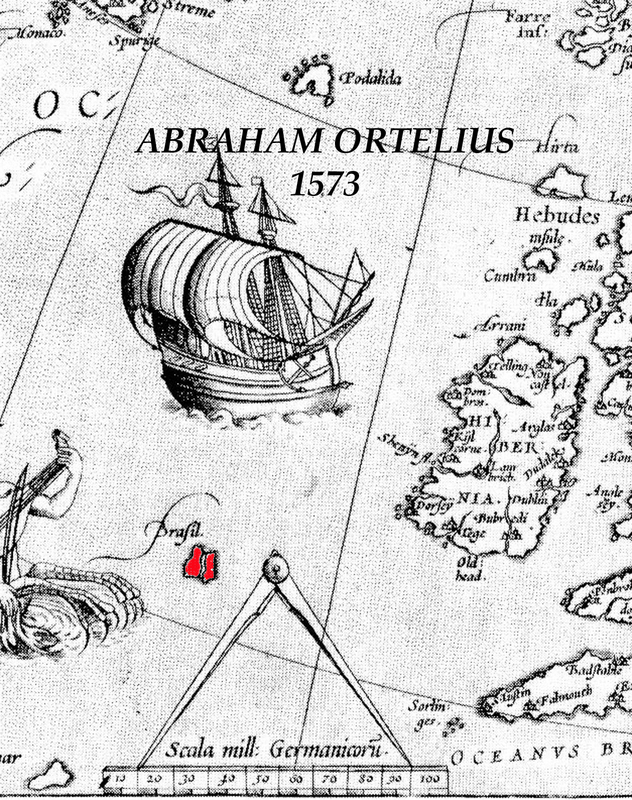 The O'Lees in addition to their role as hereditary physicians also came to hold the hereditary Abbotship of St Brendan's monastery at Annaghdown. 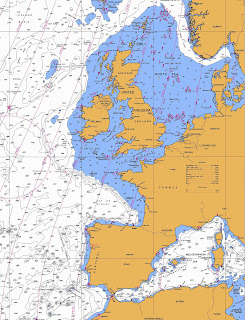 A modern sea-chart. Hy-Brazil how-are-you!